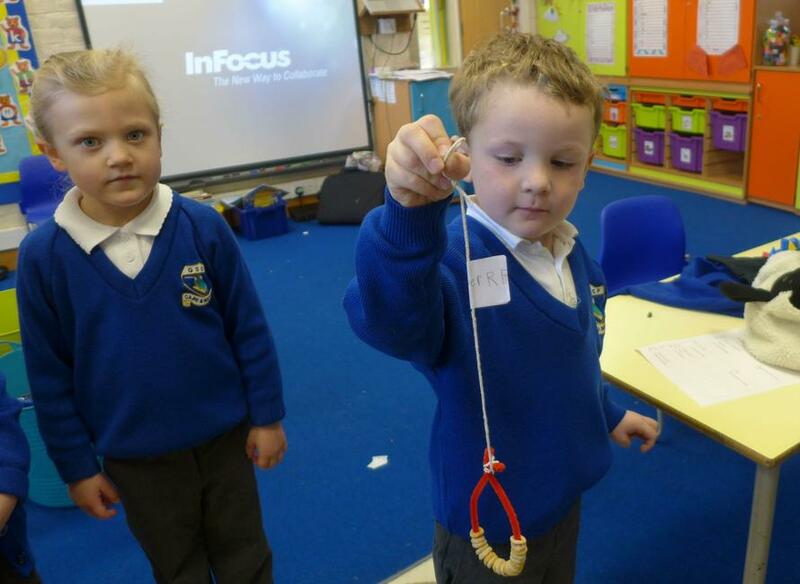 Early years had fun last week making bird feeders. 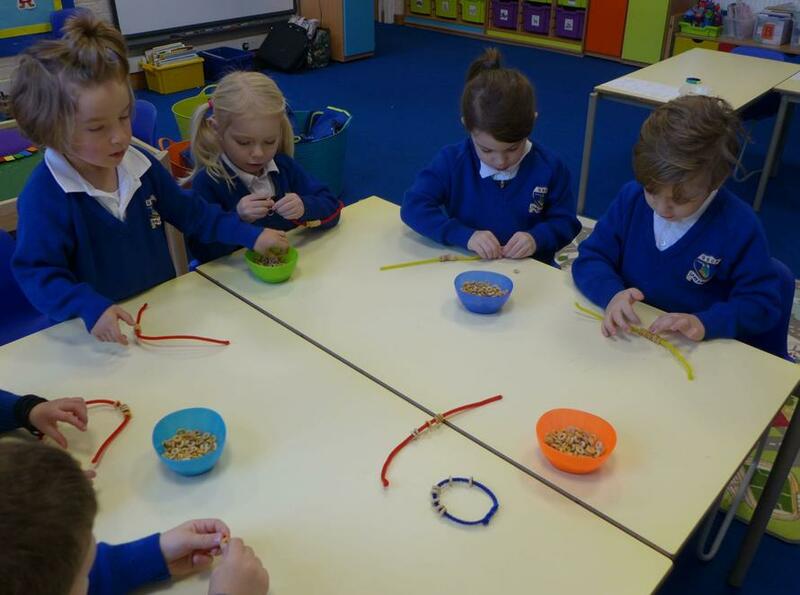 We threaded Cheerios onto pipecleaners ready to hang in a tree or bush at home. 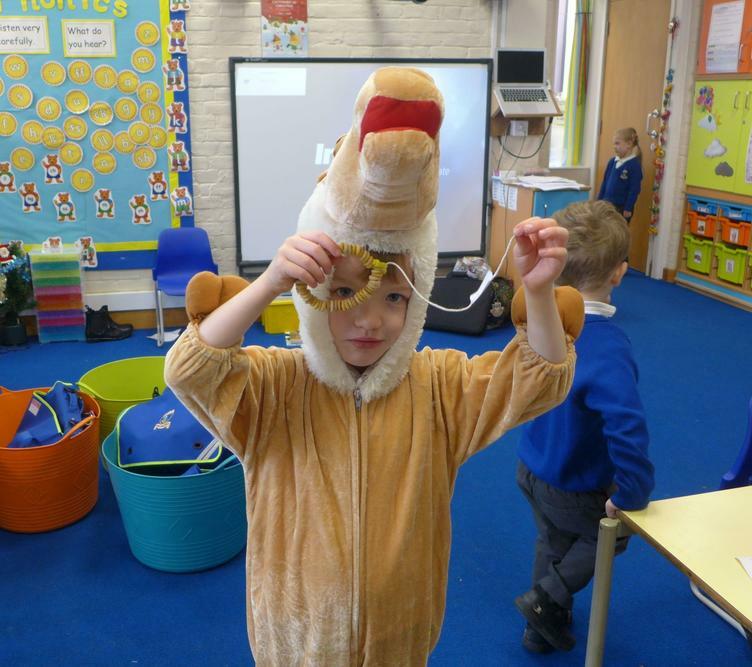 As well as talking about the needs of birds at this time of year we also developed lots of skills. We developed our fine motor control while threading and cutting. We practised sharing and taking turns. We also measured the string for hanging. Please remember to hang your feeders up outside and report any visitors!